Let’s face it; parents can play a vital role in developing or destroying a season of significance. When athletes, coaches, and parents set their sights on positive attitudes and behaviors in the stands and at the dinner table, everyone wins. If your school or organization is searching for an upbeat, fun, to-the- point keynote for a season kick-off meeting, this is your program! 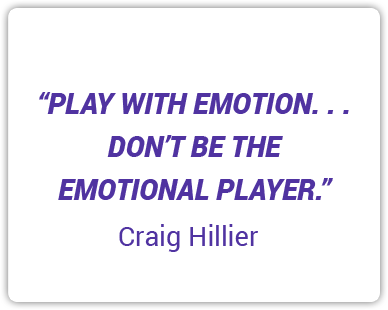 Craig has created a strong message that is beneficial for student athletes, coaches, and parents to partner up for an incredible season. “Craig’s fall sports kick-off talk was both meaningful and informative. It provided a GREAT foundation for not only our fall sport season, but our entire year! He is fun to listen to, and truly engages the crowd with his enthusiasm, humor, and energy. Our parents, students, coaches, and myself all benefited from his message!"